KJONG UGANDA SAFARIS LTD is one of Uganda’s finest safaris and tour companies dedicated to showing you the amazing beauty of Uganda and Rwanda We are locally based in the heart of Kampala specializing in short excursions, Gorilla trekking safaris, wildlife adventure tours, Hiking adventure safaris, Long Adventure safaris and tailor-made or customized safaris to suite our clients needs and special interests. Our great expertise is delivered from our 14 years of existences in the tourism industry that is since 2003 operating as a gorilla safari company and Uganda tour operator. Our free tailor made services as a Uganda tour operator shows how much we take care of your holiday needs and demands. We pride ourselves in highly service provision to all classes of tourists intending to discover the beauty of Uganda and Rwanda including:- Short excursions/Days trips, Gorilla and Chimpanzee Trekking Safaris, Mt Rwenzori and Mt Elgon Hiking Expeditions, Cultural Tours of Uganda and Rwanda, Boating and Fishing in Lake Victoria, Classic Wildlife safaris, Birding safaris, White water Rafting a long River Nile, Hotel bookings/Reservations, Eco tourism, Budget Camping Tours, Kidepo Specials, Family travel, Honey moon Vacations to Uganda-Rwanda and Car Hire and Rental services hence making Kjong safaris one of the finest Gorilla safari companies in Uganda. Discover nature at it’s best from the point of Eco and dependable tourism and enjoy all it offers with Kjong Uganda Safaris as we are equally impressive with efficient safari holiday planners required to get the ball rolling for your all adventure needs. We understand the precision and accuracy and have aptly developed a range of personal touch services for you. 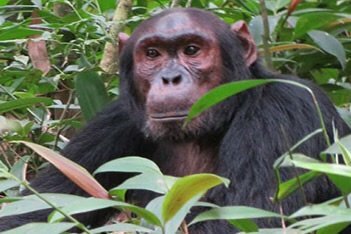 Travel with us and discover the unique and tremendous biodiversity, land of contrasts, warm hospitality and vintage traditions on any of our tours to Uganda and Rwanda. 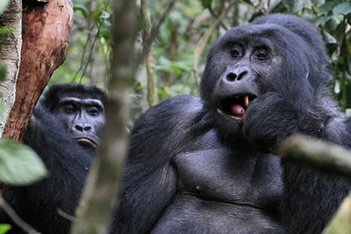 Being a Uganda tour operator with a high quality service delivery, all our guides are an asset to the company, they really turn your holiday informative as our principle slogan “Creating Friendship Through Travel” Our guides are outgoing and with good sense of humor belongs to our driver guide. 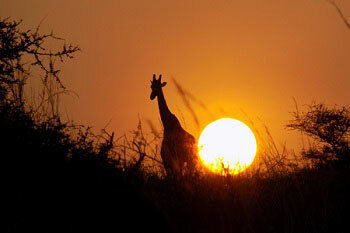 This has greatly made most of our executed safaris very successful and memorable to clients. We take great care when selecting our drivers/guides, only the best pass our tests. They are fully trained in all aspects of Uganda and Rwandas history, wildlife and culture. Nothing beats our competitors other than our superior safari vehicles. We well know that a perfect holiday needs the best safari vehicle while other tour operators sub-hire from various sources, we have our own fleet of special customized safari Land Cruisers, Executive Coaster and Safari vans. Each driver/guide is assigned his own vehicle. Our vehicles are maintained in their top most condition under the supervision of our professional workshop. Above all they are well designed for photography and Wildlife viewing with a pop up roof and enough leg room. Personal Service at Kjong Uganda Safaris Ltd means that each detail of your safari is taken care of personally, every tour is undertaken by your personal Tour Consultant and your driver who will be with you from the day you land at Entebbe airport, throughout your safari, until you depart. This comes with free and accurate travel information as per your holiday interests. We take great pride in providing only the very best accommodations for our visitors, using only the best lodges, hotels and tented amps. Over the past many years we have built strong relationships with all the leading hotel and lodge companies. We ensure that all your night in our beautiful country turns out memorable by reserving and booking you at the most lavish hotels throughout your safari itinerary. At Kjong Safaris Ltd we 100% offer financial trust to our entire clients this is part of our entire team members while on a safari and when back to your resting lodges, we make sure that theft is 100% catered for by allocating you or booking places in the most secure lodges while on your safari. Kjong Uganda Safaris is a member of Association of Uganda Tourism Organisation(AUTO), Uganda Tourism Board(UTB), Uganda Wildlife Authority(UWA), Safari Bookings and TripAdvisor these can be referred to for our reputation in the tourism sector.